With so many homes threatened by foreclosure, the government has found the need to step in and help find ways to staunch the nonstop gush of foreclosed homes in the lacerated real estate market. 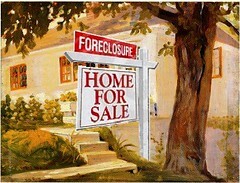 Real estate short sales may soon be a requirement for banks with a full storehouse of seriously distressed homeowners. Negotiations between mortgage providers and the US government discusses not just allowing the sale of homes below their mortgage amount, they also include obliging banks to bring down the loan amount of certain borrowers and covering details on the proper conduct of dealing with homeowners who are seeking loan modification. This move is aimed at equipping mortgage providers a faster and cheaper way of getting rid of critically delinquent properties that are at risk of foreclosure and subdue the tempestuous real estate waters, thus, preventing the further decline of home values. This is applicable to cases where the homeowners are seriously in arrears and that foreclosure would have been inevitable. long-drawn-out, and that borrowers are being passed from one bank representative to another when checking on the status of their request for short sale. This can hopefully streamline the process. Although many homeowners seek the approval of banks to do a short sale to avoid the more fatal effects of a foreclosure, some are averse to it because they will still lose their homes. Oftentimes, credit ratings of these homeowners are still badly shaken despite dodging foreclosure. And if their credit score still allow them to make a new loan, they do not have the cash to make a down payment. Banks also dislike and put off short sales with offers that they find too low. They would rather wait for the market to recover and for price of the properties to go up. Properties with several creditors will most likely not be approved for real estate short sales because the involvement of several parties complicates the process. Some members of Congress and Republican attorneys general are also opposed to forcing lenders to allow homeowners to sell their homes for less than their loan amount. As of the moment, real estate short sales are big sluggish jumbles of paperwork and conflicting interests that could often end in a stalemate. Properly streamlining the process may push the ball forward to keep it rolling and help homeowners, lenders and the real estate market escape from their respective financial plight. This Rush Hour star paid $6 million dollars for his five-bedroom sprawl in florida. At 10, 000 square feet, the house featured an outdoor kitchen, five bedrooms, and a pirate-themed basement. The mortgage payments were $26,000, and even with his salary of $20 million for Rush Hour and $25 million for Rush Hour 2, he somehow managed to get $4 million dollars in red with his bank and $11.5 million with the IRS. The mansion was foreclosed upon in October 2011. Nicholas Cage’s extensive career starring in acclaimed movies such as Leaving Las Vegas, Adaptation, Moonstruck, and Valley Girl couldn’t save him from financial problems due to poor tax planning. By 2010, he allegedly owed millions in back taxes, and in April there was an auction in Bel Air to sell the home he had lost to foreclosure. Often ridiculed for its style, which real estate expert Bret Parsons declared as “frat house bordello,” the house did not sell. The Jackson family is known for their controversy and inter-sibling rivalry, but things took a turn for the worse in 2009, when the Prince of Pop’s sister was forced to give up her Las Vegas condo, which had gone into default and received multiple liens. While the condo was only $25,000, capital gains allowed mortgaging of over $750,000. People speculated that her time on reality shows Celebrity Apprentice and Armed & Famous did not pay as well as she lived. The foreclosure happened right after her brother died, and now there is more controversy regarding Michael’s estate, so it may be a while before La Toya is back square on her feet. The moral of these celebrities’ home woes is that no one is immune to poor financial planning, unexpected decreases in income, and the Internal Revenue Service. After bringing in millions of dollars, these three still managed to live above their means. These are some of the most famous foreclosed homes, but certainly not the most tragic, as many people around the country are scraping by on much, much less. One of the most popular games in the country, Skyrim. The real estate market is bad, but you can buy a house in Skyrim that is affordable. Living in it is another question. House like the one below are ones that do not go through the foreclosure market unless you look closely for them. Talk to your real estate agent and see if they can find you a gem like this house in Genolier. Nature runs its own courses and has been able to adapt to environment change throughout the ages. Here’s an abandoned house that a tree and shrubs took to their liking and using it as a canvas for their growth. It’s a hot summer night and you don’t want to be indoors, but don’t want spend an arm or a leg to keep on going to different local events. How about creating an outdoor movie theater in the back of your house? Quality time with the family is what life is meant to be lived for. Talk about random, but how about a house that looks like a Marshmallow? I wouldn’t know why someone would do such a thing, but heck people are interesting creatures. Some houses are just odd and this is one of them. How would you enter this house? If you’re looking at house and it’s tons and tons of wooden panels it’s from the 1970’s. Who wants a house that dates back to the disco era? You should see how much it would cost to remodel it before deciding to purchase it or working with it to the best of your ability. When you’re looking for a new place one has to look to make sure the neighbors are not too crazy and don’t provide you with movie entertainment to your living room from your kitchen window. Imagine having these individuals as your neighbors? What would you do?